Something about a beautiful view can lift your mood and make your spirits soar. 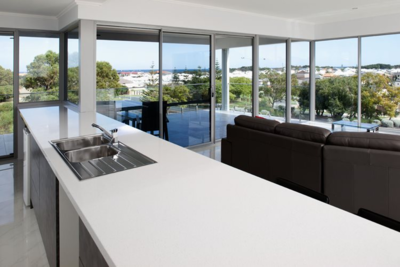 If you were attracted to your block for its glorious vistas – whether ocean, river, bushland or parkland – you’ll naturally want to enjoy those views every day. That’s why Rosmond Custom Homes often designs two storey homes that upend traditional thinking. Known as upside down or reverse living designs, these homes locate the kitchen and main living areas upstairs while at least some of the bedrooms are downstairs. The idea is to be able to gaze out at the best views from your kitchen, dining and living areas where you spend most of your time. 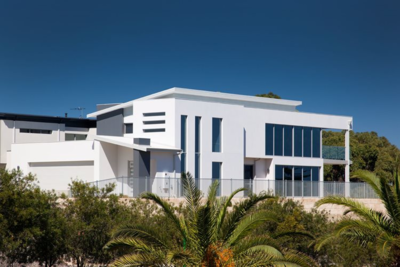 A classic example of upside down design is this striking custom home designed and built by Rosmond for clients who acquired a coastal block with views to Hillarys Boat Harbour and beyond. This design features an elegant chef’s kitchen upstairs where the cook can feast their eyes on 180 degree ocean views while preparing meals. The space flows into two expansive living areas and opens onto a big balcony to create the perfect entertainment zone. Sipping a quiet drink becomes a memorable occasion as the sun sets with a fiery glow over the ocean. The generous master bedroom suite with walk-in robe and luxury ensuite is also upstairs. Downstairs is a big home office, bedroom wing and laundry. The entry is breathtaking with a full height void featuring 61 course high windows, flooding the home with light. A shopper’s entrance links the four-car garage to a lift further down the hallway. Externally, the crisp white lines of the home make an imposing style statement. “What about carrying the groceries upstairs?” It’s a question the Rosmond design team is often asked when people contemplate building an upside down home. 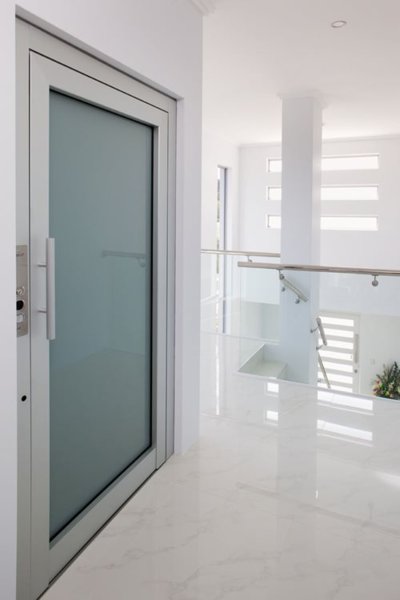 It’s actually not such a hardship to carry shopping upstairs, but it’s a simple matter to install a lift. It also helps to future-proof your home for all ages and stages. The upstairs master suite in the features Rosmond Custom Homes the convenience of a laundry chute. Just toss your clothes into the laundry chute and they miraculously land in the laundry ready for the wash. When there are views to see, a balcony needs to be a viewing platform that moonlights as a bar and alfresco dining room, so the bigger the better. The beauty of building with Rosmond Custom Homes is that we design and build custom homes to suit your individual lifestyle. That means whatever style of home you want – even an upside down one – chances are we can design and build it. Talk to us about your ideas soon.